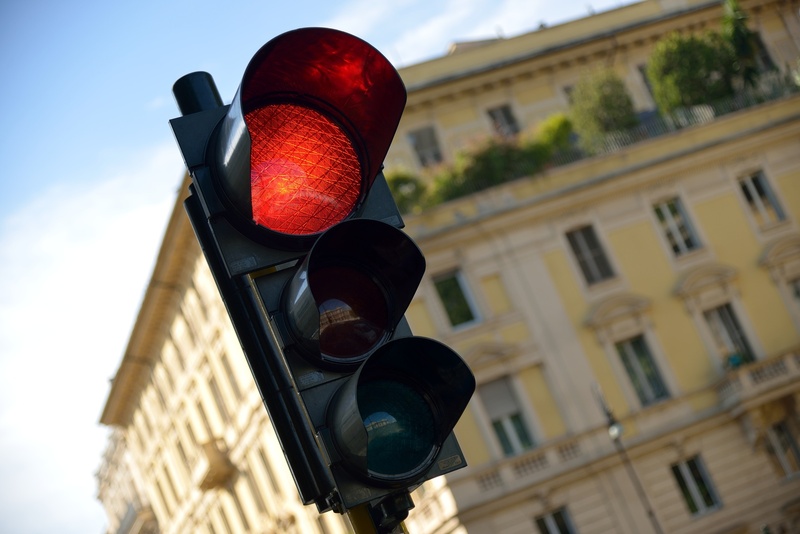 TfL develops new red light "visible to cyclists"
TfL to develop new red light "visible to cyclists"
Transport for London (TfL) has announced plans to introduce a new shade of red for its traffic lights that cyclists are also able to see and act upon. "Up until now we have relied on a red hue that is on the visible spectrum for pedestrians and motorists, but which most cyclists appear unable to see," a TfL spokesman told us. "It's a similar phenomenon to the famous internet dress," he explained. "Except that as far as I am aware the dress never knocked down a pensioner on a zebra crossing." Some have theorised that cyclists' inability to process this part of the light spectrum is a result of the excessively tight Lycra shorts favoured by middle-aged male riders, which constrict the flow of blood to the frontal cortex. However, the alternative explanation - that many cyclists are simply selfish pricks who treat pedestrians with utter indifference - cannot be entirely discounted. TfL is also said to be considering changing the rules to simply allow cyclists to run red lights, on the basis that they are mostly ignoring traffic signals already in any case. Audi drivers may be given permission to disregard the entire highway code on the same basis.